Power your day's adventures with the adrenaline-fueled precision of the Tissot® V8 Quartz Chronograph watch. Black dial face features stick indexes with a minute track at dial perimeter. 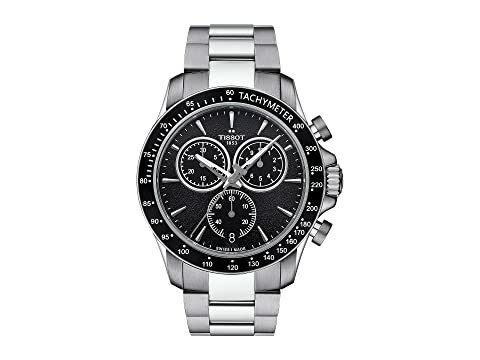 We can't currently find any similar items for the V8 Quartz Chronograph - T1064171105100 by Tissot. Sorry!